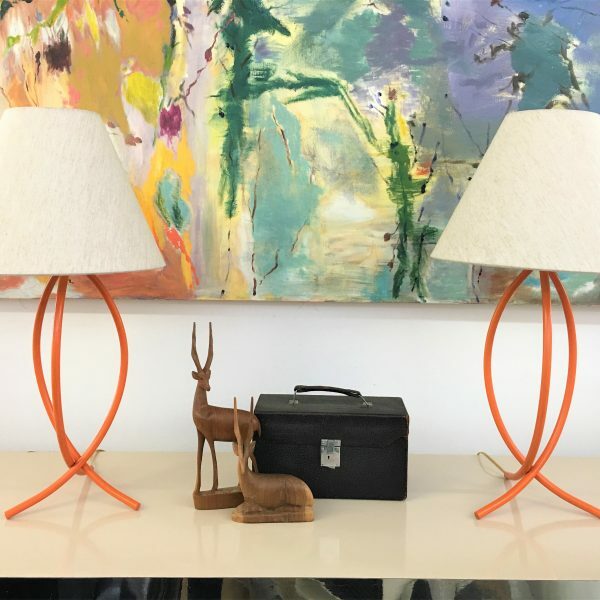 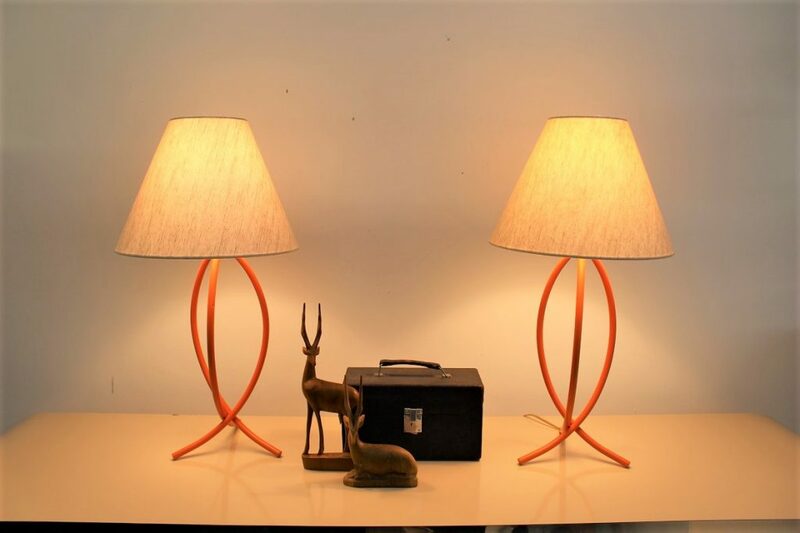 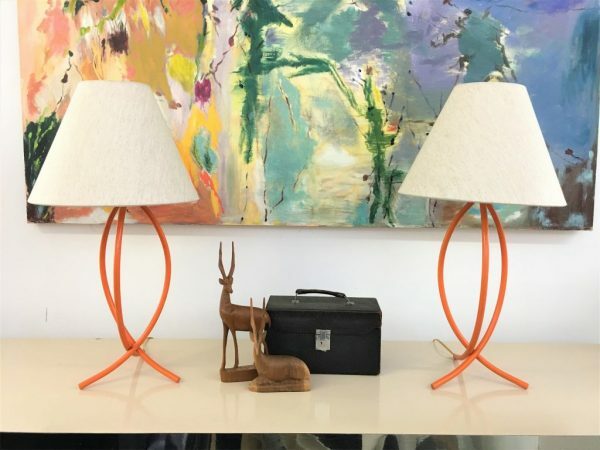 Since orange is the new black; these beautiful lamps are the perfect vibrant touch for your space. 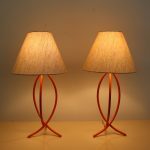 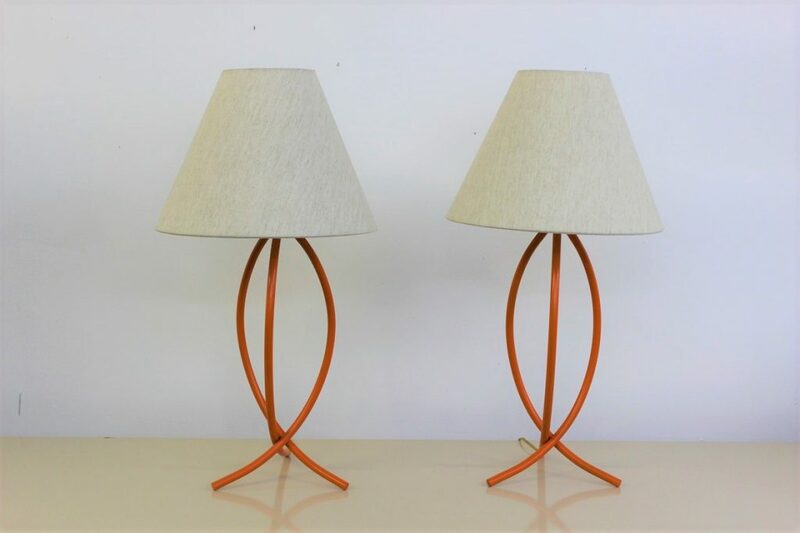 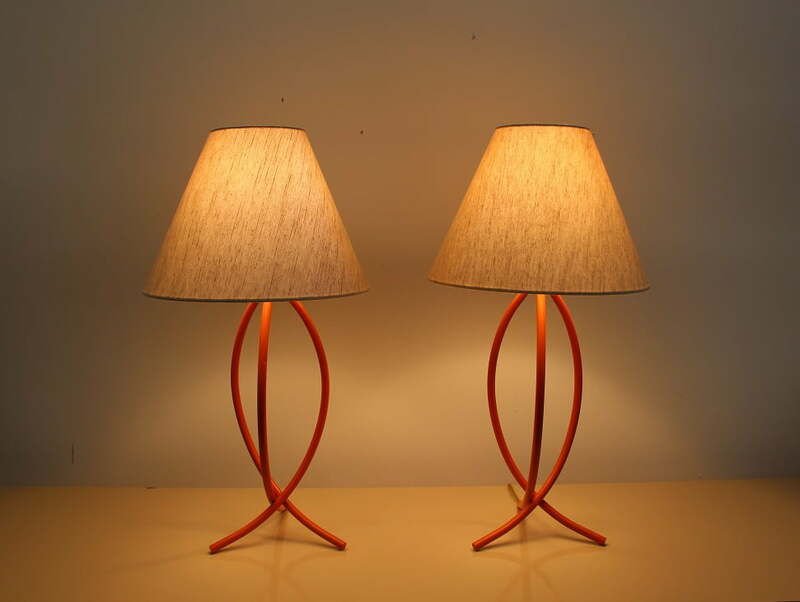 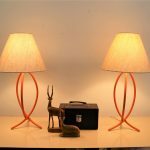 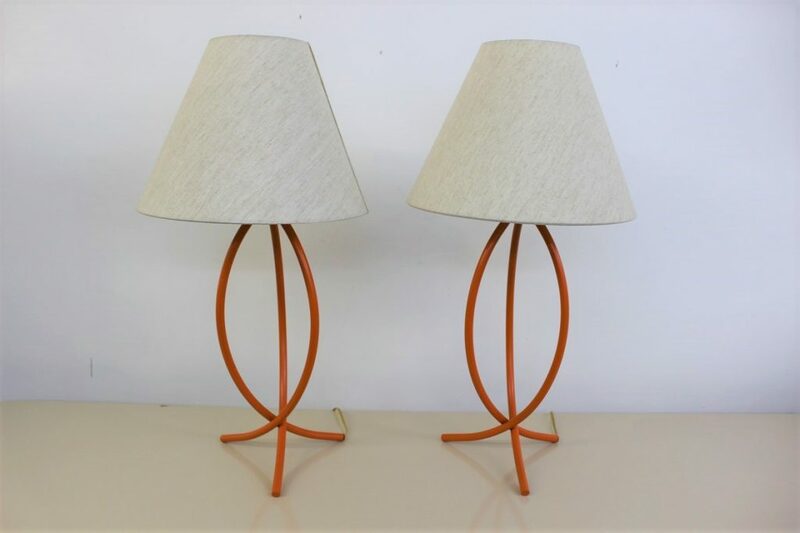 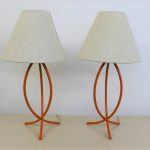 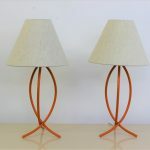 Whether it is a bedroom, dining room, office, study or living room this small minimalist orange metal lamps will bring the room to life. 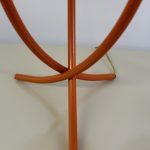 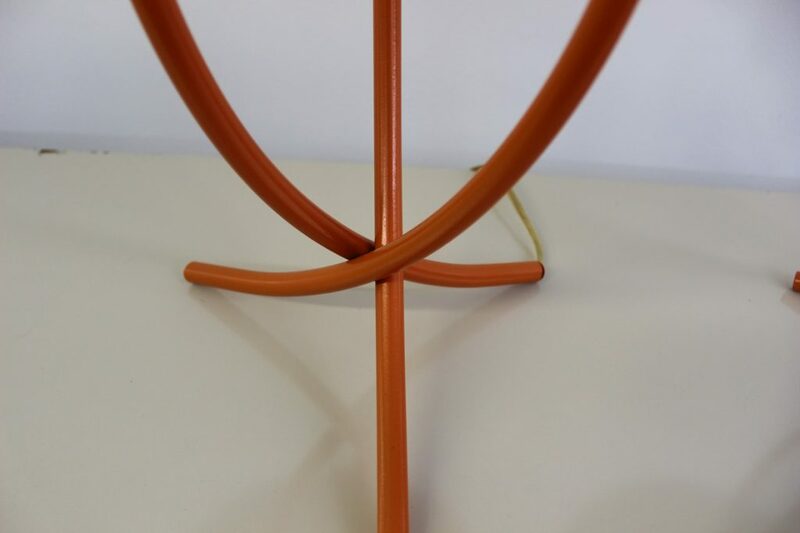 Made of three metal rods forming an oval. 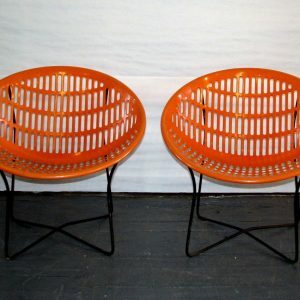 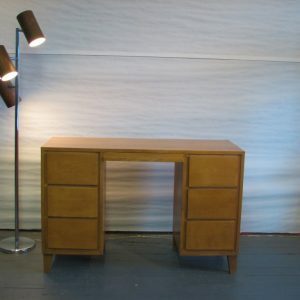 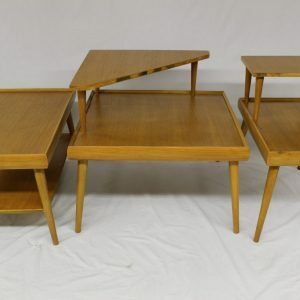 They measure 26″ tall and 7″ at their widest.